Kondo A, Gotoh M, Kamihira O. Spina bifida in infancy and childhood. In Neurogenic Bladder. Ed. Corcos J, Schick E. Martin Dunitz, London, 2004；195-207. Kondo A, Kamihira O, Shimosuka Y, Okai I, Gotoh M, Ozawa H. Awareness of the role of folic acid, dietary folate intake and plasma folate concentration in Japan. J Obstet Gynaecol Res 31: 172-7, 2005. Kondo A, Kamihira O, Gotoh M, Ozawa H, Lee TY, Lin AT-L, Kim S-R, Lin H-H. Folic acid prevents neural tube defects: International comparison of awareness among obstetricians/gynecologists and urologists. J Obstet Gynaecol Res 2007; 33: 63-7. 近藤厚生、成田　収、倉内　修、山田満尚、林　嘉彦、山本真一、可世木成明、下須賀洋一、柴田金光、紀平　正道：葉酸と神経管閉鎖障害：妊婦の認知率とサプリメント内服率（2007年）。産婦人科治療2008；97：74-79. 近藤厚生、小澤秀夫、小嶺信一郎、東嶋　功、龍　覚、隅谷洋一、西野好則、金城　勤、後藤　亨：葉酸の神経管閉鎖障害防止効果：一般内科医の認知度調査（2007年）.日医雑誌2008；137：1032-1036. Kondo A, Kamihira O, Shinji Katsuragi. Neural tube defects: etiologies, prevention, and prenatal diagnosis. In Neurogenic Bladder. 2nd Ed. Ed. Corcos J, Schick E. Informa Healthcare, London, 2008；733-758. Kondo A, Kamihira O, Matsuura O. A myelodysplastic male patient presenting with difficult catheterization as a result of a prostatic utricle cyst. Int J Urol 2009;16:978-9. Kondo A, Kamihira O, Ozawa H. Neural tube defects: Prevalence, etiology and prevention. Int J Urol 2009;16:49-57. Kondo A, Asada Y, Shibata K, Kihira M, Ninomiya K, Suzuki M, Oguchi H, Hayashi Y, Narita O, Watanabe J, Shimosuka Y. Dietary folate intakes and effects of folic acid supplementation on folate concentrations among Japanese pregnant women. JOGR　2011；37：331-6. 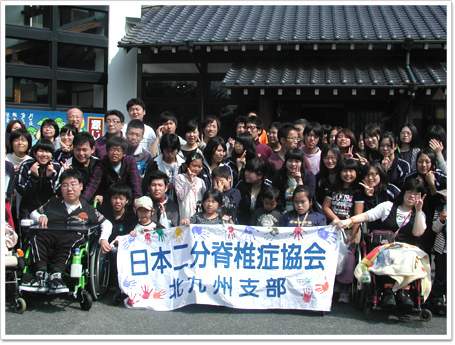 Kondo A, Morota N, Ihara S, Saisu T, Inoue K, Shimokawa S, Fujimaki H, Matsuo K, Shimosuga Y, Watanabe T. Risk factors for the occurrence of spina bifida (a case-control study) and the prevalence rate of spina bifida in Japan. Birth Defects Research (Part A) 2013; 97: 610-5. Kondo A, Fukuta H, Matsuo T, Shinozaki K, Okai K. C677T mutation in methylenetetrahydrofolate reductase gene and neural tube defects: Should Japanese women undergo gene screening before pregnancy? Congenit Anom 2014; 54: 30-34. Kondo A, Morota N, Date H, Yoshifuji K, Morishima T, Miyazato M, Shirane R, Sakai H, Pooh KH, Watanabe T. Awareness of folic acid use increases its consumption, and reduces the risk of spina bifida. Br J Nutri　2015；114：84-90. 山本憲朗、近藤厚生．妊娠前から必要な栄養素「葉酸」の健康機能性. Food style 21. 2015; 19: 53-58. Kondo A, Katsuragi S, Kamihira O. Neural tube defects: Etiology, prevention, and prenatal diagnosis. In Textbook of the neurogenic bladder. Edited by Corcos J, Ginsberg D, Karsenty G. CRC Press, New York, Chapter 55, ｐ619-631. 2016.